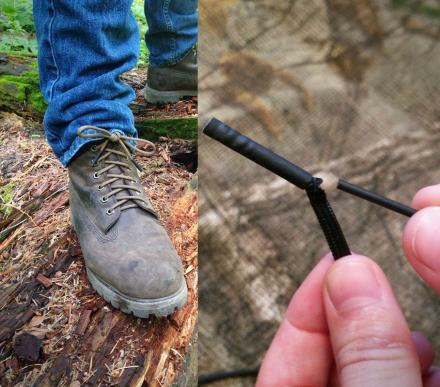 The Flint Laces are a pair of shoe laces that you can use in case of an emergency to start a fire with if you are otherwise incapable of starting one. Maybe you forgot your matches at home, maybe it just rained and all your matches are wet, or maybe you’re stranded in the woods without a match or a lighter and you’ve lost your manhood and just can’t make a fire using your own two hands. Each flint lace contains a hidden piece of ferro rod that is capped with rubber. Simply scrape the rubber from the rod, strike it against a knife or some steel (assuming you have some), and you will be toasting your buns on a nice hot fire in no time. 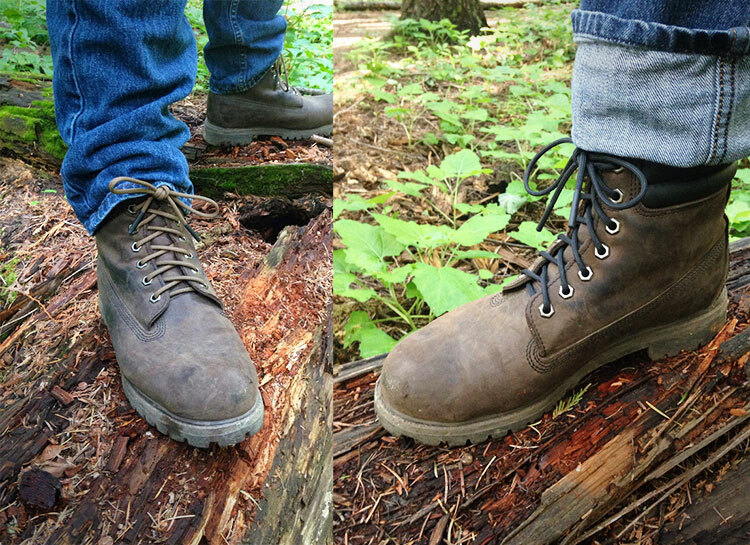 The flint laces are completely normal shoe laces other than containing a fire starter rod, they are made from type III 7 strand 550 paracord, contain 4 separate rods (1 on each end of each shoelace), come in sizes 36-108, and are perfect for when you’re planning on getting lost and stranded while hiking or camping.